Does you iPhone 6 plus need a fun case? How about this hard case that shows an amazing graphic on the back that is protected by an enamel layer to make it last. 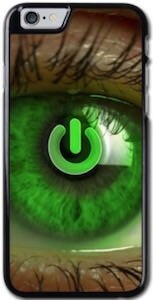 The image shows a green eye up really close and in the middle of the eye you can see the power symbol. It maybe a bit freaky and geeky but still it looks stunning. Of course this case is there to protect your phone from harm and it is clearly up to the job there. And if you don’t have an iPhone 6 plus then click the picture above to see if it is available for your device. Come and have a better look at this Power Of The Eye iPhone 6 plus Case. Looking for the perfect case for you iPhone 6 plus? How about this case from i-Blason witch comes in colors black, blue and red. The case has a hard shell with a silicon liner witch is great for impact and this case offers more then just a pretty case. The case has a build in kickstand witch is great for watching movies or maybe even if you want to use you phone with a keyboard. 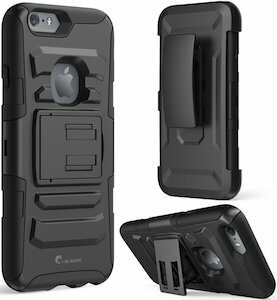 And this iPhone 6 plus case also comes with a clip so that you can have it hanging on your belt instead of trying to fit it in those skinning jeans. If you iPhone need protection then check out this i-blazon iPhone 6 Plus Case. You never know what you can find behind a closed door but this time you can guess. 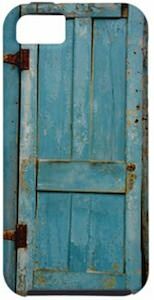 This case for the Apple iPhone 5 shows a weathered looking blue door with rusty hinges and that is the case for your perfectly designed amazing looking iPhone 5. It may seem like a strong contrast but that makes it so amazing. The case is made by Case-Mate and that will make sure that you phone will be protected from most harm that you want to prevent from happening to your phone. And of course this case keeps all the ports and buttons available for use. To make this case even better the picture on this case does not stop by just the back, it keeps going around the corner so that the sides of you phone also look like this old door. Come and have a better look at this Weathered Looking Door iPhone 5 Case. OK so you have your iPhone 4 or iPhone 4S but you still carry around another phone for work, personal use or what ever you need it for. This is a case for the iPhone 4 or 4S that is a phone on it self so now you carry one thing that is two phones. And the phone case even lets you use two sim cards so that you are almost carrying 3 phones. It supports GMS bands 900 and 1800 so that you can use it for travels to. The case has a 1800 mAh battery that can be use for the phone in the case but can also be used to charge your iPhone. It maybe a bit strange but it is fun. Come and check some other picture and information about this iPhone 4S Case With Phone. Case-Mate and Batman will protect your iPhone 5 from harm. 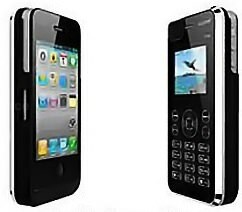 This iPhone case is made from hard plastic so that you phone can withstand bumps and scratches while you use it. And this is not a boring looking case because this case has Batman on it. As you can see above there is a picture on this case in black and white with a real muscular Batman with blue lightning around his arms. And this case does not just cover the back, it goes around the edges to to make it even better to look at. Like any good case this Batman iPhone case lets you access all the ports and buttons while it is protecting your phone. If you need a new iPhone case then you have to have a better look at this Batman And Lightning iPhone 5 Case. If you and like robots and love you iPhone then you are in luck. Now you can protect your iPhone with a hardcase that has a fun tin red robot on it. The robot is surrounded by red pain splatters but that add to the fun. You can get this case for a whole range of Apple devices from the iPhone 5 all the way down to the iPhone 3G and there is even and iPod Touch version. So if you like paint and robots then come see this Red Paint Splatter Robot iPhone Case. So you new iPhone is great for playing Angry Birds but it still has that Apple logo on the back. This iPhone 5 case will change that for you. The case is white and has a almost 3D Red Bird on it and that makes this the perfect Angry Birds case. Of course this case will protect you from harming your phone and if you don’t have an iPhone 5 then you can still be in luck as you can also get this case for the iPhone 4S, 4, 3G, 3GS and the iPod Touch 4th generation. Get ready to play Angry Birds and enjoy your new Angry Birds Red Bird iPhone Case. OK you bought and iPhone 5 and now you can’t go drinking anymore with you buddies because you ran out of money. But maybe if you get a nice case for your iPhone you would feel better. And we may have found the perfect case for you. The case looks like a glass of beer nice and yellow with a white foam top. OK it will make you thirsty but it will also protect your phone from harm. This case is made by Case-Mate and that means that you can expect a quality case that really will do it’s job to protect you phone. Come and get thirsty with this iPhone 5 Beer Phone Case.